WebMoney is an electronic currency system for making secure online payments that is run by WM Transfer Ltd. 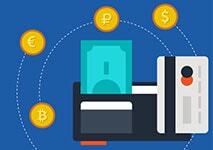 It is similar to Paypal and other e-currency services. The registration process requires email verification and you are asked to verify your identity through sending an SMS from your mobile phone. Once you become verified at WebMoney you can verify other WebMoney users. Transactions are conducted through software. The WM Keeper Classic is a downloadable program that you install on your computer. The WM Keeper Light is a browser-based app that does not require installation while the Telepat is a technology that allows you to access your account on a mobile device. WebMoney handles $100 million each day and has millions of users the world over. 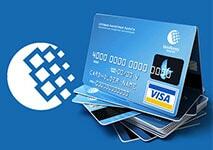 WebMoney got its start in Russia but now is a very popular international e-currency system. Countries used in The service is used worldwide. Funding your WebMoney purse The fee depends on teh method you are using. Your WebMoney account is run in gold equivalents (WMG), US dollar equivalents (WMZ), rule equivalents (WMR0), Euro equivalents (WME) or hryvnia equivalents (WMU). WebMoney is routinely accepted at many of the top online casinos. These units are tokens used within the WebMoney system to indicate the ‘real’ money equivalents to the users’ balance. For example, a balance of WMZ 100 is equal to $100. Basically, these tokens can be considered a separate currency of their own that are pegged to their ‘real’ equivalent at a 1:1 ratio. WebMoney has a list of guarantors for each WM equivalent unit, proving that the company can match every WM unit issued for fiat money when the time comes. There are several ways that you can acquire WebMoney units for your balance. These include paying cash money at a retail location, using a credit or prepaid card, paying at ATMs, a bank wire, mobile payment and other similar services. The available funding methods vary for each different WM unit type, with the most options available when purchasing WebMoney Rubles. Purchasing certain WM units can incur a commission charge, usually within the 0.5% to 4% range, depending on the funding method. WebMoney units can only be purchased and used within the WebMoney infrastructure and cannot be used anywhere else. Units can only be transferred between users who have verified an account with WebMoney. WebMoney uses a different banking model than other online payment solutions and as such, it is not limited by the same rules and regulations. This can be felt directly in how much money the users can transfer at any time. Whereas certain eWallet service will only allow you to transact up to several thousand per month, WebMoney does seem to give users a lot of leeway when it comes to making transactions. There are four different limits regarding how much money you can store in your WM purse. If you have not verified a phone number, the maximum amount that you can store in your WebMoney purse is $200 or its equivalent in other currencies. If you have verified a phone number and you can receive confirmations via SMS or ENUM, then the limits of your purse will go as high as $600. Holders of the ‘initial passport’ (a level of verification) the limits are raised to $12,000 and those with a ‘personal passport’ can have as much as $120,000 in their WebMoney purse. These numbers indicate the maximum amount that a user can be charged for each transaction. Additionally, no fee is charged if the transaction is made between holders of the type of purse. When it comes to withdrawing your WebMoney balance, you will find that you have a variety of options at your disposal. These include withdrawals via bank transfer, to credit or debit card, by post, or by exchange points. Each method comes with its own set of fees and commission, which vary between the different currencies and the method in question. For the most part, fees do not go higher than 3.5% per withdrawal. Moreover, withdrawals in RUB enjoy quicker processing times and lower fees. Using WebMoney to fund your online casino balance is nothing difficult and the process takes only a few seconds. Once you have opened an account with the gambling website, simply go over to the ‘Cashier’ page and select WebMoney from the deposit options. After that simply enter the amount that you wish to deposit and the relevant login information. After you confirm the transaction, the money will be immediately transferred to your casino balance, allowing you to instantly start playing your favorite games. When you a finished with a gambling session and would like to withdraw your balance from the online casino back to your WebMoney bankroll, the process is relatively the same. Open up the ‘Cashier’ page and find WebMoney from the supported withdrawal methods and enter the sum you wish to cash in and your login information. After confirming the payment, it can take up to several business days for the transaction to clear. This is primarily due to the fact that online casinos need to verify each withdrawal request by hand. WebMoney is not only available for PC users, but those who primarily gamble on their mobile devices can also make good use of this service. The company has not failed to provide dedicated applications for all major mobile platforms. Users can download the WebMoney Keeper app on their Android, iOS, Blackberry and Windows Mobile devices, directly from the app marketplace of each platform. The app will give you access to the same features as the desktop version and you will be able to conduct your transactions with ease. Since WebMoney is widely supported you can switch between gambling websites without the need to set up a different payment service. There are significant advantages that come with using WebMoney over other payment services for your gambling needs. Below, we will outline some of the most important that you need to take into consideration. Unlike some other services, WebMoney allows users to conduct instant deposits and relatively speedy withdrawals. This is one of the primary reasons that players choose WebMoney. More traditional payment methods are no doubt slower, for example, bank transfers can take up to 5 or more business days to clear, depending on the jurisdictions involved. This is simply unacceptable in this day and age and WebMoney is able to provide high-speed transactions and a relatively low cost. 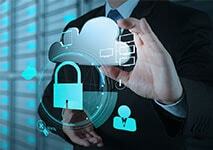 The security of the service is another perk that you should certainly not pass over. WebMoney comes with a variety of features meant to protect your funds which you should definitely take advantage of. While these may not anything too complex, they have proven effective and are becoming a staple of online security. Finally, WebMoney is a commonly accepted payment solution throughout the online gambling industry. It has been around for about two decades and in that time frame has become one of the most popular payment methods. Many of the top online casinos support this service and if you choose to use it you will be able to control your bankroll with relative ease. Granted, WebMoney is not the end all, be all solution of online transactions. Despite its many good sides, WebMoney is not perfect and has some drawbacks that you should definitely be aware of. While the service has gained popular status, it is mostly supported by established online casino brands. Newer websites prefer to only include the most widely-used payment solutions in the online gambling industry, such as Skrill, Neteller, Paysafecard, credit cards and other similar. It is often the case that newly founded casinos do not deal with this payment method which could be a detriment in the long run. Another somewhat unfortunate fact about WebMoney is the fact that it charges a commission for topping up your WebMoney balance. The sums that it keeps are not too large, often not exceeding 4%, but certain transactions may come with a fee of up to 11% to 13%. Short term, most of the fees will not be too bad and you will likely hardly notice them. However, over the course of time, these will add up and you might find out that you have spent a significant sum only on fees. Naturally, it is unreasonable to expect a good service to be free, but there are several competitors out there that offer a similar high-quality service and have better pricing schemes. Finally, we cannot ignore the fact that WebMoney was first established with Russia and the former Soviet bloc in mind. While the service has expanded and now is available almost worldwide, their original idea is still noticeable. One simply needs to look at the funding and withdrawal fees and processing times for the different currencies to notice that transactions in Rubles are much quicker and cheaper. WebMoney has made great progress over the years and continues to improve the service, but currently, it is much more favorable for Russian, Ukrainian and Belarusian users. One of the most important aspects to consider when choosing an online payment method is security. With identity theft and monetary fraud becoming an ever-increasing concern, you need to be sure that your service of choice will be able to maintain the integrity of your personal and banking information, as well as your funds. As it happens, WebMoney is highly secure and there are multiple systems in place to prevent any wrongdoing. Gaining access to a WebMoney account as a non-user is not an easy task. There are 3 main authentication methods that users have at their disposal. This can range from traditional usernames and passwords to files with secret keys to personal certificates. Moreover, users also have the option of utilizing a 2-Factor Authentication system. This can take the form of an SMS verification code or the E-Num service. Both provide you with one-time-use codes which you enter when logging in and are necessary to gain access to the account. These security measures make it possible for users to enjoy their games in peace, knowing that their funds are safe. Customer support is available from WebMoney, although it may not be one of its strong suits. Generally, there are two ways that one can contact the support team which include calling by telephone or writing an email. There are four dedicated lines that you can dial, two for Russian users, one for Ukrainian and one for Vietnamese users. If you need help with one of the purses, then there is a dedicated email address for each purse to which you can forward your enquiries. For the most part, WebMoney answers all questions and resolves all issues in a timely manner, although certain user reports indicate that the process could be improved. What are the jurisdictions in which WebMoney does not operate? WebMoney is available almost worldwide, but there are several countries that it excludes from its operations. This list includes Afghanistan, Belize, Canada, Central African Republic, Yemen, North Korea, Niger, Libya, Mauritania, Mali, Republic of the Congo, Democratic Republic of the Congo, Rwanda, Somalia, South Sudan, Sudan and the United States of America. Residents of these countries will not be able to access the services of WebMoney. Will I have to provide proof of identity? As with any online payment service, you will be required to pass some verification. Depending on how much information you have provided to WebMoney, you will have different balance limits on your account. A newly opened account with no verification can only hold up to $200 or another currency’s equivalent until the user has passed some of the verification procedures. What languages is WebMoney available in? At the time of this writing, WebMoney can be viewed in English, Russian, and Vietnamese. WebMoney is a long-established payment solution with almost two decades of history. In that time, it has proven time and again that the service is trustworthy and worthwhile. Moreover, it also complies with standard European Economic Area regulations and as such, it can be fully utilized by European players without issue. WebMoney is a solid and established service that can provide you with some significant benefits when it comes to making gambling transactions. This payment solution supports a good number of currencies and uses a unique and interesting system to process its payments. Moreover, it has a long history of operation and a good reputation with gamblers, making it one of the more popular payment methods in the industry. With instant deposits and speedy withdrawals, WebMoney is capable of greatly improving bankroll management for those who choose to use the service. It is not too expensive for the average user and comes with a solid security system, effectively giving users full control of their funds.